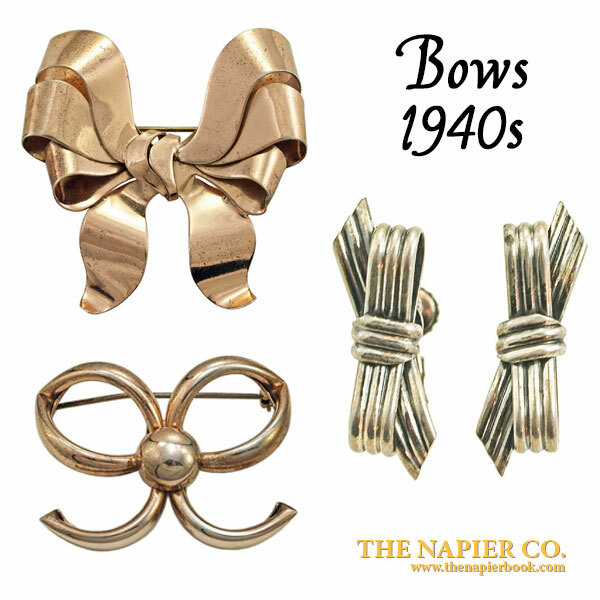 One of the favorite motto’s of a vintage jewelry aficionados is, “What’s old is new again.” Bows have been an important part of adornment for centuries and The Napier Co., like many jewelry manufacturers utilized the bow motif for decades. Bows have once again become the mode making their appearance on the runway, the red carpet and the hottest “must wear” fashion blogs; even men are getting into the fashion with the iconic bowtie. So how can you partake in this sinuous motif and sport a little vintage? Each decade has offered a smattering of bow-motifs. 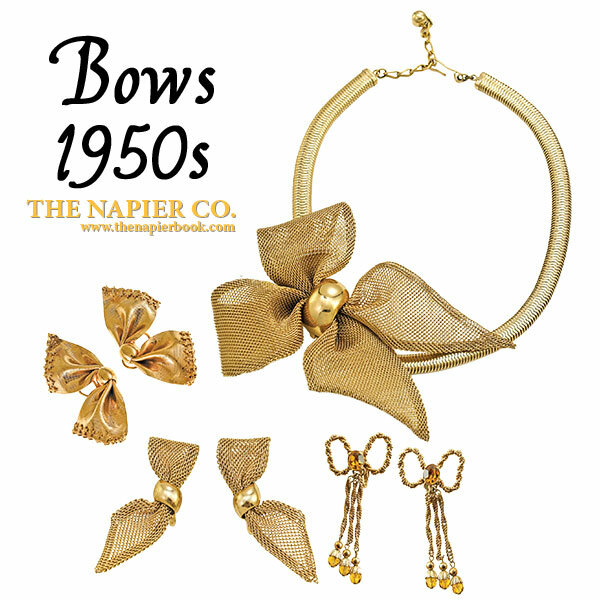 Here are some examples of vintage Napier jewelry through the years. 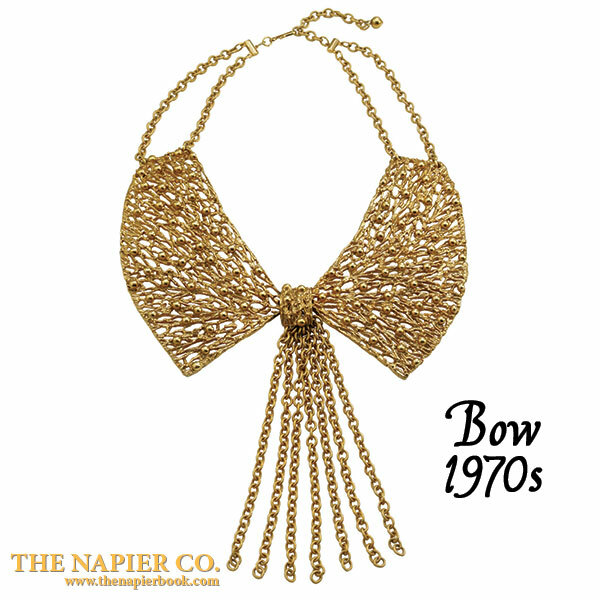 One particularly interesting bow necklace by The Napier Co. from the late 1920s‒early 1930s was designed by Emil Schuelke—the designer famous for the iconic Penguin Shaker. The brilliance of The Napier Co. was most of the talented design staff didn’t just design in one genre or category. The majority of designers designed pieces for jewelry, barware, vanities, giftware, etc. Emil Schuelke was no different. One of the most fantastic examples of the bow motif was recently offered by Urbantiques on Ebay. For more information about vintage fashion jewelry and The Napier Co. purchase the book now. The article describes a brief history of bows and how they have been used through the years in fashion jewelry.